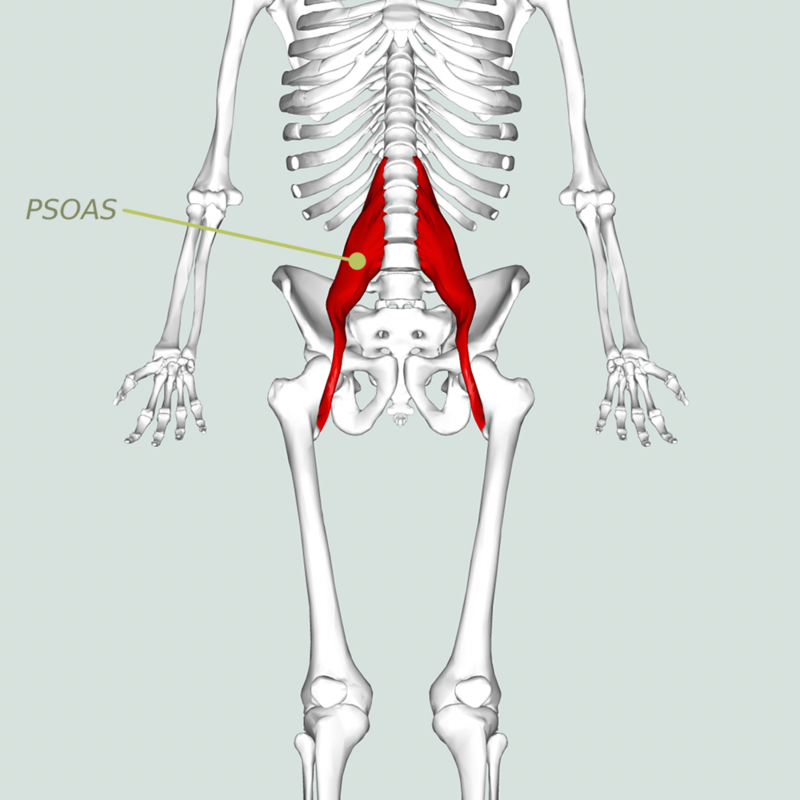 The psoas muscle commonly known as the ‘fight or flight’ muscle or the ‘hidden prankster’ is a core muscle that acts as physiological keystone and plays a vital part in the TRE process. It often ‘kick starts’ the TRE tremors. If we curl up into the fetal position to protect ourselves from upset and trauma the posas is the main muscle we use. It is the only muscle that connects the spine to the legs and it supports the body like a structural arch travelling vertically from the spine to the femur and also diagonally through the pelvis attaching to the upper thigh. Along with making it very hard working it is also bi-articulate (a muscle working two joints). In this core location it helps support and stimulate internal organs and channel movement from the spine as it assists the transfer of torso weight to the legs aiding body alignment and gait acting like a pendulum to allow the swing of the leg. Because of the depth of its location within the body the psoas affects both the central and peripheral nervous systems and if tension is released from the psoas deep and profound release can be happen. It is incredibly adaptable if it is relaxed and in a state of gentle release. If it is unbalanced, frozen or overworked by trauma it can affect our gait, lower back, pelvis and stomach. Due to its keystone location any muscular contraction of the psoas – such as neurogenic tremors – can stimulate and massage many deep internal organs such as pancreas, bladder, liver, spleen, kidneys, stomach, reproductive organs and also the aorta and lumbar nerve complex. These organs, known as viscera, communicate with the brain with what we commonly know as ‘gut feelings‘ . The psoas, because of its proximity to these organs, can play a key role in this vital and deeply emotional stimuli. If the sympathetic ‘fight or flight’ system is overstimulated the psoas muscle can store embedded memories of traumatic events and the parasympathetic relaxation response may be subdued. These embedded memories and energy commonly manifest as various anxiety disorders – panic attacks, depression, addictions, PTSD etc. The TRE process helps us open the door to natural self-healing by allowing the flow of our innate and intelligent parasympathetic response to rest and release. 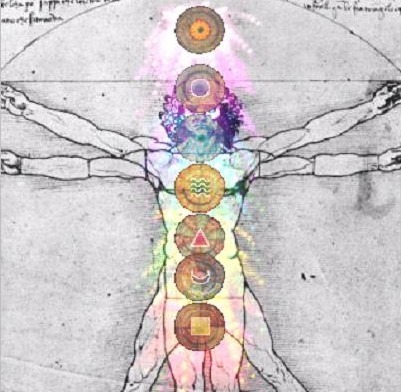 One of the most notable things we must also remember about the psoas muscle is its connection with the diaphragm which comes together with the psoas at the solor plexus just behind the naval. 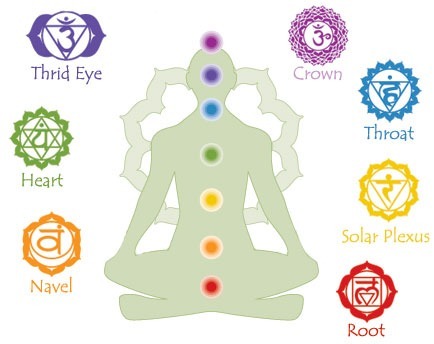 This holds a huge nerve network and also houses the third chakra, Manipura (The Brilliant Jewel) the seat of personal power and courage governing our metabolism, nervous system and emotions. ← How do I learn the TRE exercises?